Privacy: Counting – But Who’s Watching? 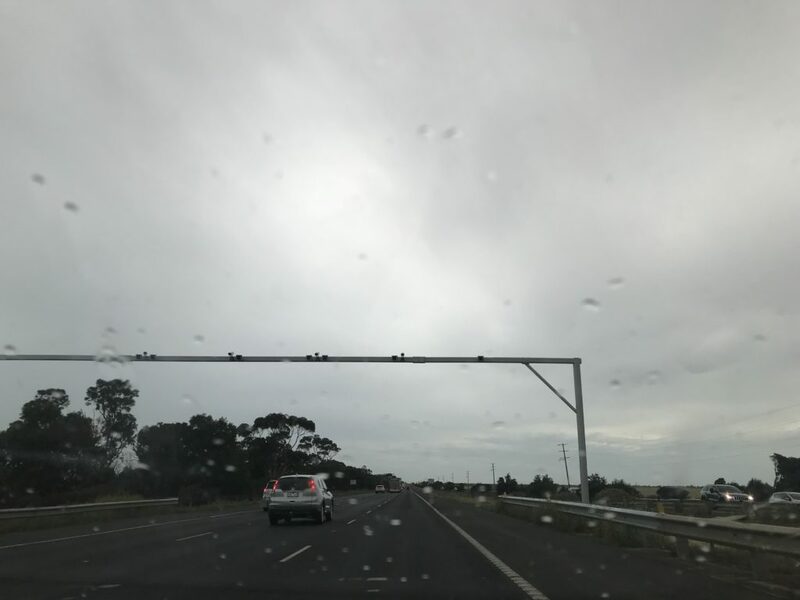 Regular road travellers between Geelong and Melbourne will have noticed something new in the last couple of months. The addition of a pair of overhead structures between Little River and Werribee. One over the Melbourne-bound lanes, and the other adjacent to it over the Geelong-bound lanes. Each carries a pair of cameras and some kind of sensor over each of their corresponding three lanes. Officially, they are “traffic counters” – at least so say the signs on their nearby control boxes – presumably counting the number of vehicles travelling between Geelong and Melbourne on the Princes Freeway. Since I drive this route to and from work every work day, I see them a lot. A lot of people seem to have decided they are speed cameras, slowing down to avoid detection. They do however appear far less complicated structures than known fixed speed cameras, so I doubt they have that capability – but I have been thinking about what capability they might have. There are far simpler ways to count traffic travelling along a road. You might see pressure sensing cables laid across a road in pairs to count traffic temporarily. You might also see magnetic field detection wires embedded into the road surface for more permanent data collection. If you’re just counting vehicles, that’s really all you need. So why the need for cameras in this instance? Well, maybe they not only want to count the number of vehicles passing along the freeway, but want to identify different types of vehicles – (eg: cars versus trucks) – and better understand types of usage, and not just raw traffic numbers. Probably quite a useful collection of data to collate. What happens to the imagery after you pass under the boom? Is it sent somewhere? Is it kept for a period of time? Once there are more of these structures built, can it be used to track people on their travels? I think I will contact VicRoads and/or the Roads Minister and see what they have to say – and I will report back.